A British-based private equity company is believed to be eyeing up Full Tilt Poker – but only if the deal between the US Department of Justice (DoJ) and French investment firm Groupe Bernard Tapie (GBT) collapses. 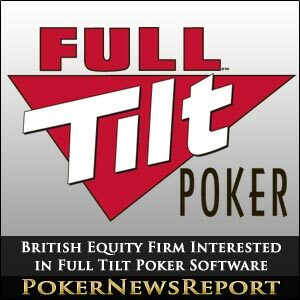 The reputable iGaming Post have reported that, while not much is known about the British company, they are believed to only be interested in acquiring Full Tilt’s software for somewhere between $30 million and $35 million, rather than planning to relaunch the beleaguered poker room – depending on what happens with the DoJ and GBT. 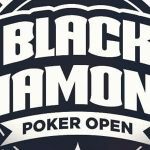 Certainly, it does appear that GBT’s plans are becoming less likely with each passing day following on from Black Friday last April 15 when the DoJ shut down numerous online poker sites, including Full Tilt Poker, PokerStars and Absolute Poker, in relation to allegations of bank fraud, illegal gambling and money laundering. The fallout from Black Friday laid bare the financial muddle that are Full Tilt’s accounts, highlighting that many directors and professional players had been handed huge loans, dividends and bonuses from regular player deposits. 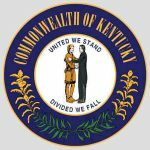 And now it looks like other companies are hovering about the still-warm Full Tilt carcass while keeping a close eye on GBT’s attempts to purchase the poker room. The online international daily newspaper for the gaming industry also stated that they have received information from three reliable individual sources pointing towards the unnamed British company’s interest in Full Tilt. 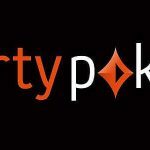 Any deal would be focused solely on the software, with the Full Tilt Poker name and brand being wound up as funds from the sale would be deposited in a neutral account for administrators of the company to distribute to creditors of FTP. Certainly, Full Tilt’s software is considered to be among the best available so would undoubtedly attract many interested buyers, should GBT’s bid fail. In fact, it ought be noted that, at their peak, Full Tilt were achieving profits of as much as $1 million every day. Therefore, it can be assumed that the British equity company would buy the software with the goal of selling it on to another operator, along with poker room’s customer database – if the current legal mire can be navigated to make this information available to potential buyers. 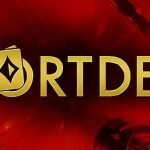 Of course, recent speculation has suggested that 888Poker and bwin.party are also interested in purchasing the Full Tilt software – even though GBT stated not so long ago that they are reasonably optimistic of completing their deal with the DoJ – as the USA stumbles towards legalised online poker. However, no matter what happens with GBT, it seems certain that Full Tilt’s software will survive in some shape or form, although, as time passes, the brand name does appear to be on the way out. No doubt, though, all Full Tilt customers throughout the USA and the remainder of the world will want one question answered. When will we see our money again? That really is the biggest query, but it is one that does not appear to be any closer to a resolution. Don’t forget to bookmark Poker News Report for all the latest on the USA’s progress towards legalising online poker, the latest Full Tilt Poker news and potential sale (to whoever it might be), and all things related to the world’s greatest game.